We may be famous for our shrimp, but our menu delivers everything from prime rib to native crabcakes to the freshest Outer Banks seafood. Experience the best sound front dining the Outer Banks has to offer! We sit on a prime sunset location with plenty of water view seating. Stop by The Shack for the freshest selection to cook yourself, or call ahead to pick up custom-built, fried or steamed seafood buckets. Only the best for your special occasion! Catering packages available and have your event at our beautiful Sugar Creek restaurant. Quality is the heart of everything we are. Along with amazing sunsets, Sugar Creek Seafood Restaurant represents the best of what our Outer Banks market has to offer. Our passion for sourcing fresh ingredients from local fishermen and suppliers, combining with traditional flavors and rewriting familiar recipes into exceptional cuisine is our mission and greatest joy. 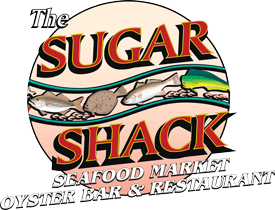 Sugar Creek Soundfront Restaurant is a family owned establishment. Owners, Ervin & Teresa Bateman work hard to ensure that customers enjoy the view, service and most of all the food. Ervin has been at Sugar Creek since 1989. Teresa, since 2005. The view is one of the best on the Outer Banks. Water may be seen all around. Wildlife is also part of the view. Many people take photographs of birds, ducks & geese. Sunsets make the restaurant a favorite for visitors and locals. Customer service is a top priority at Sugar Creek. Each dining experience should provide customers with a positive memory. Our staff is provided with on-going feedback to make sure the best service possible is given. In terms of seating, Sugar Creek Restaurant has two dining rooms and an outside deck. There is a newly remodeled gazebo for private parties. Ervin prides himself in purchasing the highest quality local seafood while having it prepared in the traditional Outer Banks style. Chicken, ribs and mouth watering beef options are also part of the Sugar Creek menu. Chef Renee creates an innovative twist with seafood and other nightly specials. Lunches are delicious and include daily specials which many customers love. Don’t forget to try one of our homemade desserts. The bar provides daily appetizer specials, directly at the bar, from 3-6pm. Several new wines have been added to our wine list. Wine is now served by the glass and by the bottle. Ervin and Teresa are actively involved in the restaurant. They love old friends and meeting new ones. So, please make sure to come by and join the owners and staff for an enjoyable time. Our chef, Renee, is a graduate of the Culinary Institute of America in Hyde, New York. She started her culinary career on the Outer Banks of North Carolina where she grew up. Shortly after graduating culinary school she decided to pursue her career in southern Florida as a chef de cusine at renowned restaurants. She also broadened her culinary career by studying wine and challenging herself to become a pastry chef. Over the past several years Renee has achieved several prestigious awards in culinary competitions. Renee is the former catering director and chef of Black Pelican Seafood Company in Kitty Hawk, NC. She enjoys expressing her culinary talents through working at Sugar Creek Seafood Restaurant. • The “Snack Chips” are to die for!